Cost: 599 USD as tested (other options vary). Like many of you, I have enjoyed the Tripath amplifier (r)evolution, and have now heard many of the smaller class-T amplifiers built around the Tripath chips. We have probably seen just about every implementation of these chips at TNT, from the ultra-cheap and cheerful Sonic Impact T-Amp , through the more sophisticated DiyParadise Charlize and Trends Audio TA-10, to the high-end models from the likes of Red Wine Audio. Coming somewhere in the middle, we have also seen and heard the Virtue ONE and TWO amplifiers. Nearly all the lower-priced versions of the Tripath amplifiers come in small cases, often Hammond style, and the VA ONE and TWO amps were a refreshing variation on that theme. 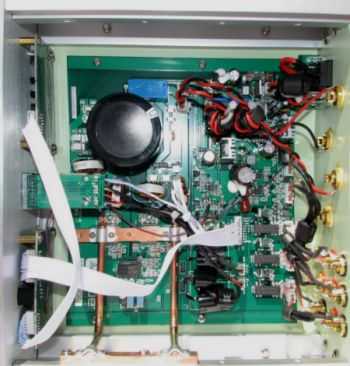 But Virtue also decided to produce their amplifiers in more up-market housings where they could include extra facilities like input switching, and remote control of the volume and input selection, thus the Sensation amplifiers were conceived. There are two models to choose from, the M451 that is reviewed here, and the better specified M901. But the choice doesn't stop there as both versions are available with a number of options that result in a very wide choice for the customer. With both models, you can specify your choice of faceplate, either brushed aluminium, or satin black. Then there is the choice of side panels, again black or silver. And the choice is limited to colour, as you can choose between a flat side panel, or sculptured, the latter with mock columns (see bottom picture). Next you can choose between matching and contrasting buttons for the front panel. If your head is not spinning by then, you can go on to choose the top panel: different wood finishes including walnut and zebrawood, different colours, and even Plexiglass (clear or black)! Finally there is a choice of power supplies from a basic SMPS, linear mains supply, and even a battery supply. With all these options, it is possible to land up with a very unique piece of hi-fi, and if you go for the Virtue M1 CDP, you can have them matching, as both use the same case. And I nearly forgot to mention the choice of remote controls as they are available in black plastic, or silver aluminium finish. Even the feet are a cut-above the average. No cheap plastic here, but machined metal with a rubber base. The feet can also be adjusted in the unlikely event that you have the Sensation on an uneven surface. The version that was supplied for review was a plain-sided, silver, with silver front-panel and matching buttons, with a China Burl top (top picture). I think that it looks very nice, restrained but classy. The M451 is built like a tank, very solid, very rigid, and with a real quality feel. The volume control knob that is packed separately for shipping, is solid metal and weighs an impressive 380 grams on its own. The side panels are chunky aluminium extrusions that double up as effective heatsinks. The front panel is 6mm thick, and there's no flexing of the chassis at all. What you get with a Sensation, is basically a modified VA ONE or TWO but with a lot more facilities that cannot be accommodated in the much smaller enclosures. For a start, you get three inputs, all switched with relays, and operated by a push-button on the front panel. There are three small LED's to indicate which of the three inputs is selected. There is remote control of the (Alps) volume control, and input selection. There are pre amp outputs if you want to use another amplifier for bi-amping, and a filtered sub woofer output. There's a soft-start circuit for use with larger power supplies, and speaker muting. It's also easier to tweak the Sensation (should you desire) due to the abundance of interior space. And of course you get those looks, not that the ONE or TWO are unattractive in any way. Due to the extra space, the Sensations also boast a much larger reservoir capacitor than the smaller ONE and TWO. You also gain bypass capacitors on the input DC blocking capacitors. In most other respects, the technical side of the Sensation is much the same as the ONE/TWO amplifiers, which means that it retains the innovative heat-pipe technology to cool the chips. So the Sensations are much more than just ONE or TWO's in larger/better cases. Safe for use with all high-current power supplies up to 30v including battery packs. And the dimensions and power specifications (M451). As you can see, the power output is dependent on the power supply used. I was asked by Virtue to thoroughly burn-in the Sensation prior to listening to it, and consequently it was left for four days solid operation playing into load resistors, and fed from a tuner. I started the review in my second system, comprising the (matching) Virtue Piano CDP, and IPL A2 (89dB) speakers. It can be a bit confusing reviewing an amplifier that has the option of several different power supplies. Like the Virtue ONE and TWO, the Sensation can be powered from the 'basic' 24 volt SMPS, the higher powered 30 volt SMPS, a linear mains supply, or batteries. While all the Virtue amplifiers work well with the 24 volt SMPS, I think they really fulfill their potential with the 30 volt SMPS, so that's what I started off using with the Sensation. I was not honestly expecting that system to sound very different to the Piano CDP with a Virtue ONE or TWO amplifier and they did sound similar. But after a while it is clear that the bass is better controlled on the Sensation, and because of that it is not only clearer, but tends to make the whole presentation clearer too. This makes the Sensation sound ever so slightly more refined than the ONE and TWO amplifiers. The Sensation presentation is very solid, whether it is played at lower volume levels, or turned up. The sound-stage is large, and the imaging 'strong' and precise. It reveals all the smaller details of a performance with remarkable clarity. It takes the listener slightly deeper into the music, bringing some of the very small detail further out of the 'mix'. There is no fatigue from the higher frequencies, and really nothing to dislike about the sound. Bass notes are tight and tuneful. I prefer these higher powered class-T amps, and where the ONE and TWO are in my opinion more satisfying than the smaller 12 volt class-T amps, the Sensation just takes things a step further up the ladder. 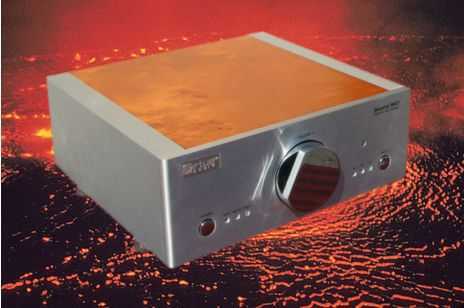 The Sensation amplifiers have a built-in soft-start to cope with high-current power supplies, and a speaker-delay circuit that connects the speakers only after the amplifier has powered up. Because of these features, they are extremely quiet in operation with no nasty clicks or pops when they are powered up or down. In my main system (and using the Paul Hynes power supply), the improvement over the smaller ONE and TWO amplifiers was even easier to define. With the open baffle Hawthorne Duets, the bass was even 'cleaner', and the mid-range was too. I guess this is mainly down to the larger reservoir capacitor in the Sensation, although the heavier, sturdier case may also be a factor. Surprisingly perhaps, the added circuitry of the input section doesn't seem to have any detrimental effect on the clarity. They say that 'a change is as good as a rest' and I sometimes change my system around just for the fun of listening to the changes that it makes to certain recordings. I felt that with the Sensation I was getting that sort of change compared to the ONE, ie it is a bit like listening to some recordings for the first time and hearing them in a slightly different way. So, given that I like the Virtue ONE and TWO amps a lot, I was pleasantly surprised to be hearing such a marked improvement with the Sensation, and that the extra cost of the Sensation wasn't only paying for the superb looks, and extra features. Everything that I played through the Sensation sounded a bit better than with the ONE and TWO. Classical music in particular came over with more nuance that made it slightly more absorbing to listen to. I often listen to the Logitech Squeezebox playing in random mode and it was great to hear the Sensation coping with Walter Trout as well as it had done a few seconds previously with a Beethoven violin sonata. On live recordings, I got a great sense of ambience, and if the recording had picked it up, there was a clear 'picture' of the venue too. When the volume was turned up, everything stayed very solid and well controlled so the Sensation 'rocks' as well as the best. It really is a good all-round performer. I did feel that the Sensation, like the ONE and TWO, benefited from a buffer. A lot of course depends on the output impedances of the previous stage. My main system had a Burson Buffer immediately before the Sensation and they worked well together. Virtue offer a (third-party) valve buffer that can be built into the Sensation, and I suspect that would be a welcome addition in many systems. So next I tried the Audiodigit TubePre in place of the Burson Buffer. There is a difference in sound between these two buffer stages, and after swapping between them a few times, I think that I just preferred the TubePre, ie the valved buffer, although I can't report that one was categorically 'better' than the other. I have always felt that the Virtue ONE and TWO were a step up from the lower power class-T amplifiers. The Sensation is a step up again and I rate it as an exceptional amplifier. 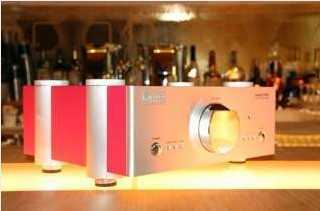 It's obviously more expensive than the basic class-T amplifiers found on Ebay, but we are now talking about a totally different league in terms of sound, features, and quality of finish. I can imagine Sensation owners would think of their purchase as something that would be the last item in their system to be subsequently upgraded. At the risk of sounding repetitive in these Virtue Audio reviews, I give the Sensation M451 a whole-hearted recommendation.